Glenn Beck finally had a guest on his show today to discuss the unconstitutional Trade Promotion Authority, the fast-track legislation that would make passing of Obamatrade much easier. However, he still has no clue how Obamatrade would fundamentally transform the United States from a somewhat democratic order into a state governed by corporate-crafted rules. "So I just don’t know who to believe." Clearly Beck has no idea what's in the Trans-Pacific Partnership, an ignorance that marks his rise to fame. He can't distinguish between genuine conservatives, who support the Constitution, and corporatists who support the international, corporate coup des lois that largely defines the TPP. Five days before he won the election in 2008, then Senator Obama promised he would "fundamentally transform" the United States, something that has had Beck extremely concerned throughout the term of Obama's administration. 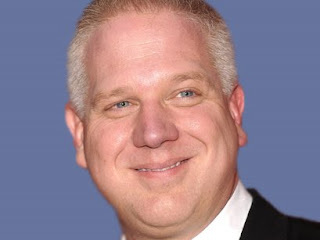 Beck is not informed or educated enough to understand the difference between a conservative, like Brat, and a corporate tool like Senator Ted tea-party-in-name-only Cruz. For a Mormon criticism of Mr. Beck, see "Rough Stone Soaring"